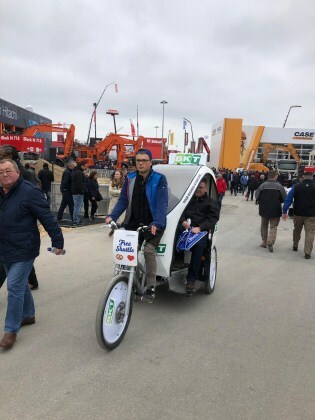 On April 8, Peter Altmaier, German Minister for Economic Affairs and Energy; Dr Markus Söder, Bavarian Minister President; and Klaus Dittrich, Messe München CEO, opened the world’s leading trade fair for construction machinery, building material machines, mining machines, construction vehicles and construction equipment – bauma 2019. 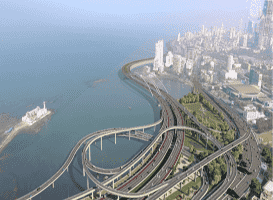 Peter Altmaier, German Minister for Economic Affairs and Energy, saluted bauma, saying: “This trade fair is a showcase for Germany.” In an address, the minister also touched on the extremely tight housing market facing the country. 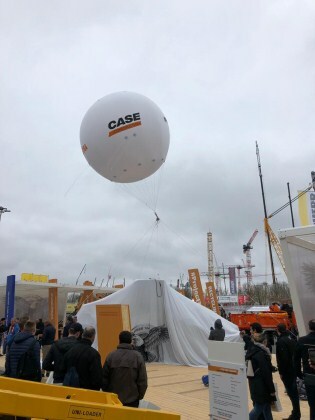 The construction machinery industry that is showcasing its products over the next seven days will play a key role in this effort, Altmaier said. 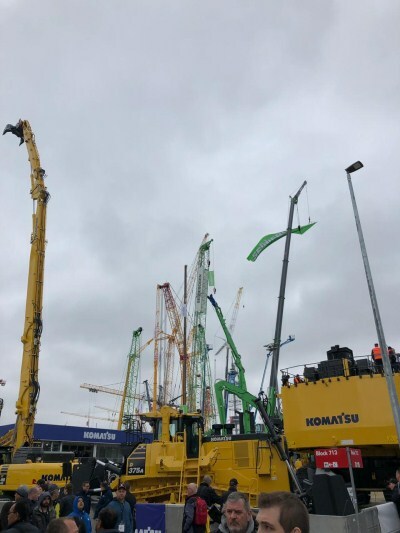 While visitors can marvel at the gigantic crawler cranes, hydraulic excavators, mining vehicles and much more through April 14, stay tuned to updates that CONSTRUCTION WORLD is reporting live from bauma Munich! 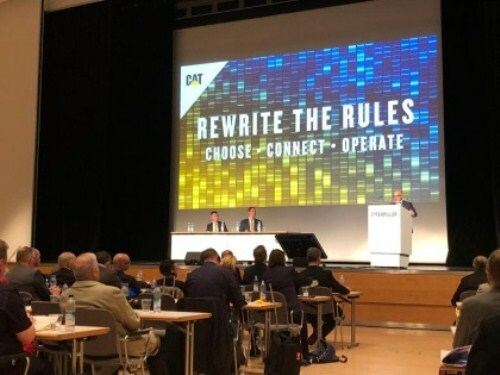 Damien Giraud, Vice President, Caterpillar Inc, addressing global press at bauma 2019 in Munich. 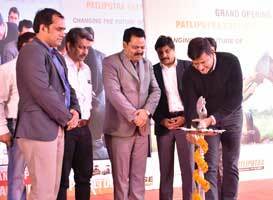 Further, Ramin Younessi, President, Construction Industries, Caterpillar, in a response to a question from CONSTRUCTION WORLD and EQUIPMENT INDIA assured that Caterpillar India was on track to enjoy the growth that India is offering and his recent trip to India indicated that new products are on the anvil. Marketing and branding in full swing at bauma Munich! High, higher, highest... 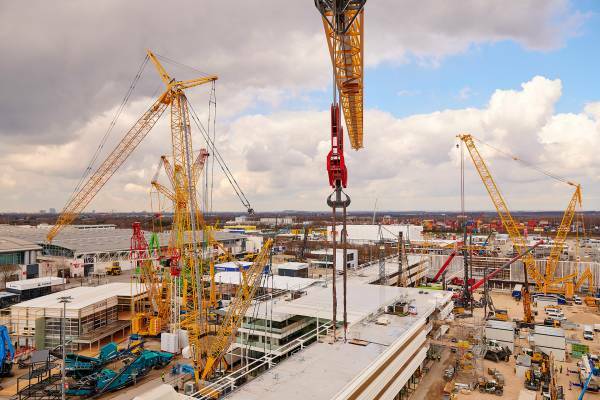 Global equipment sales in 2018 reaching for the skies! 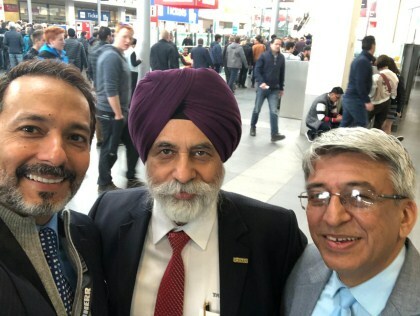 (L-R): Pratap Padode, Editor-in-Chief, CONSTRUCTION WORLD, with Sandeep Singh, Managing Director, Tata Hitachi and Rajesh Nath, Managing Director, VDMA, at bauma. 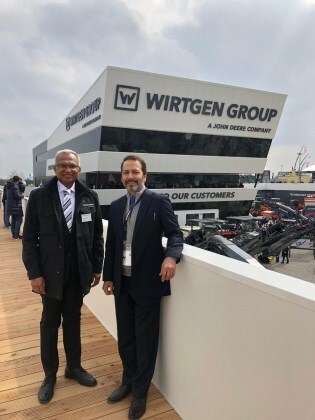 (Right) Pratap Padode, Editor-in-Chief, CONSTRUCTION WORLD, with Ramesh Palagiri, Managing Director, Wirtgen India, at the sprawling 12,000 sq m booth displaying new Wirtgen products and John Deere at bauma Munich 2019.